It's the fit! Gala slacks have a very comfortable and consistent fit that is slimming and flattering. Based on an Italian silhouette, a lower rise, and trimmer seat, these slacks are a favorite with our customers. 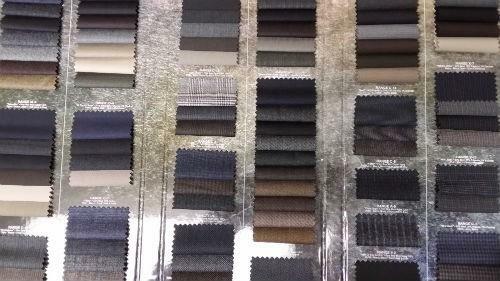 The fabrics are an absolutely beautiful selection of Italian imported flannels, fine line serge's, super fine gabardines, Calvary twills, Bedford cords, and stretch corduroys just to name a few. Gala slacks are very consistent in fit from one fabric to the next in the same model and size. We can duplicate the fit from one slack to another, and they will fit exactly the same. *If we have your finished waist, seat, and out seam measurements on record, you can order slacks from us and we will tailor them to your finished measurements and have them ready for you to pick up at your convenience.